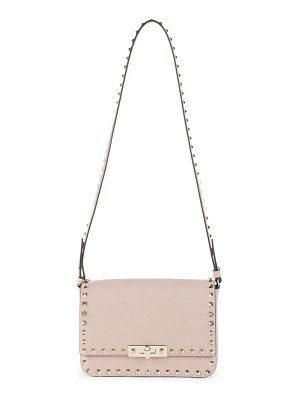 Valentino smooth calf leather crossbody bag. 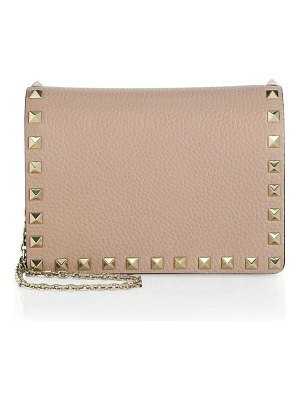 Signature platino Rockstud trim. 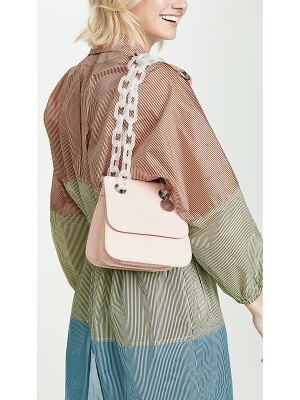 Removable, adjustable shoulder strap, 21.5" drop. 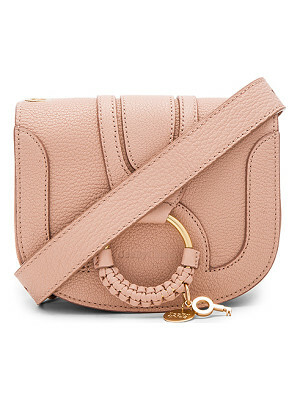 Curved flap top with lift-latch clasp. Interior, twill lining; one slip pocket. 5.5"H x 7.5"W x 1.5"D; weighs 13.4 oz. Made in Italy.